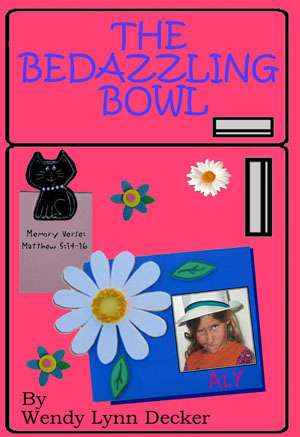 A ten-year-old teller of tall tales discovers her purpose while trying to memorize a bible verse. “Did you hear any rumors about the new teacher?” I asked Kimber. “I never heard about that,” Kimber said with a suspicious smirk on her face. Maybe Kimber thought I was embellishing—which I was—but just a little. It was true that Tyler fell. He even got stitches. But he only fell down a few steps. He didn’t lose any of his brain either, just a chip off his front tooth. He had stepped on a skateboard and flew off the porch. Those messy curls must have blocked his vision. “You weren’t the smartest. Evans Ames was the smartest. And Lauren was her favorite,” Kimber said. Kimber rolled her eyes and twisted her mouth so her freckles stretched into short gingerbread smiles. “Whatever!” she said. Evan Ames didn’t look smart, but he was a straight-A student. Kids teased him because his clothes didn’t match and his mother cut his hair. After everyone found out how smart he was he gained respect. He also gained a ton of candy if he let you copy his homework. That’s probably why his two front teeth rotted out. His mom drives him to school in a puke-green, two-seater car. I always wondered where his dad sat when he rode in the car. Then I found out he didn’t have a dad. Soon, I found out many kids like Evan went to our school, only not all as smart. My heart hurt for those kids. I couldn’t imagine not having my dad. “How was your summer?” Kimber asked. “I thought you went on a cruise?” Kimber said, and squinted her beady eyes at me. Kimber’s smile returned, and she seemed excited that I met Mr. Disney. I knew Walt Disney was dead, and I prepared to say I was only joking if she called me on it. But she didn’t. “Wow! What’s he like?” Kimber fixed her eyes on me while she twirled the end of her pigtail. “Because the science guy was lying—everybody knows God made the world. Kimber lifted her chin and grinned like her dad was right and mine was wrong. “Were they real pictures—taken with a camera?” I asked.